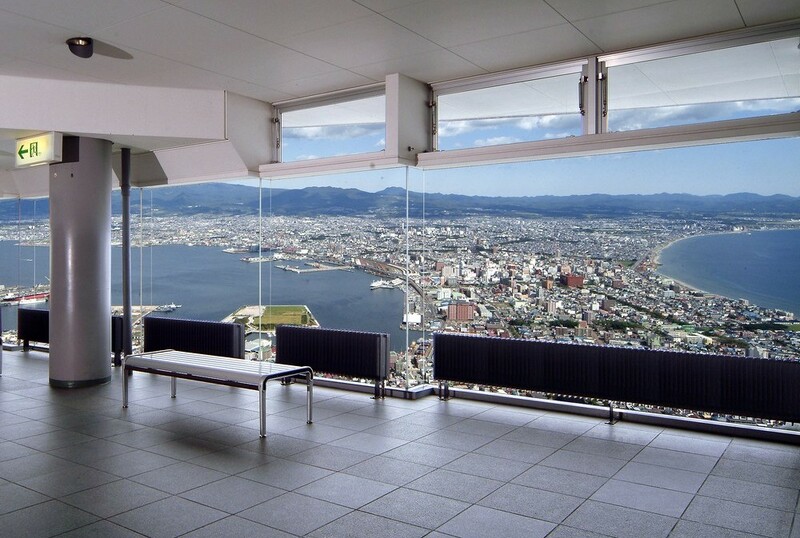 This is an observatory which commands a sweeping view of the urban area of Hakodate and the surrounding sea and mountains. 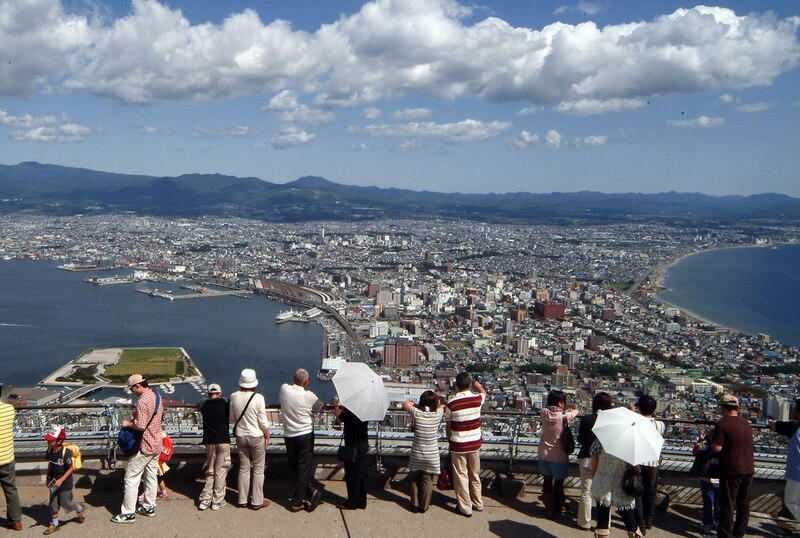 You can enjoy "the panorama from Mt. 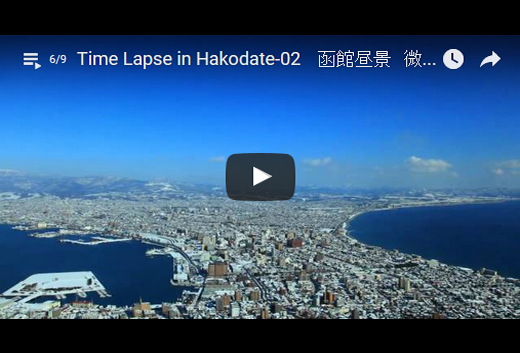 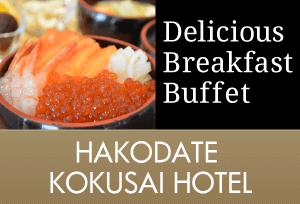 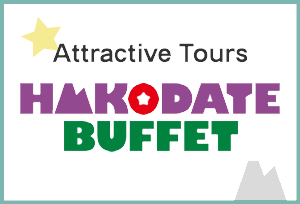 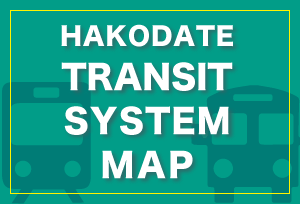 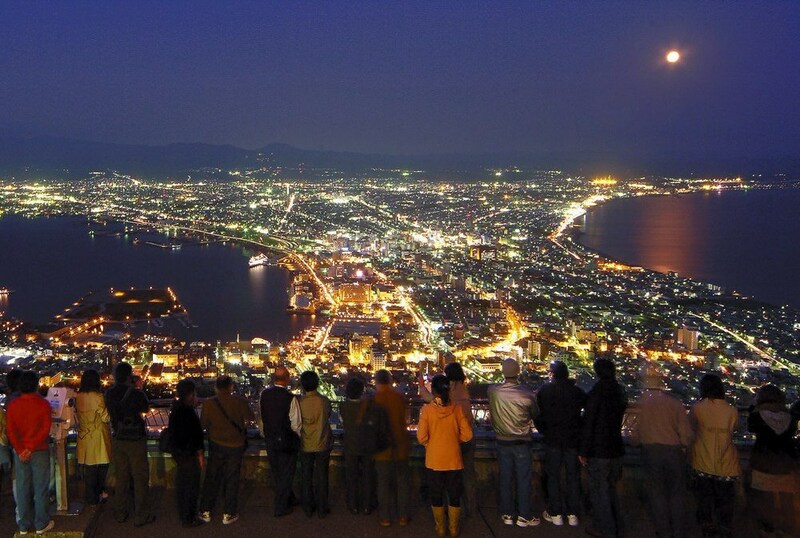 Hakodate" that appears as three stars, the highest rank, in Michelin Green Guide Japon. 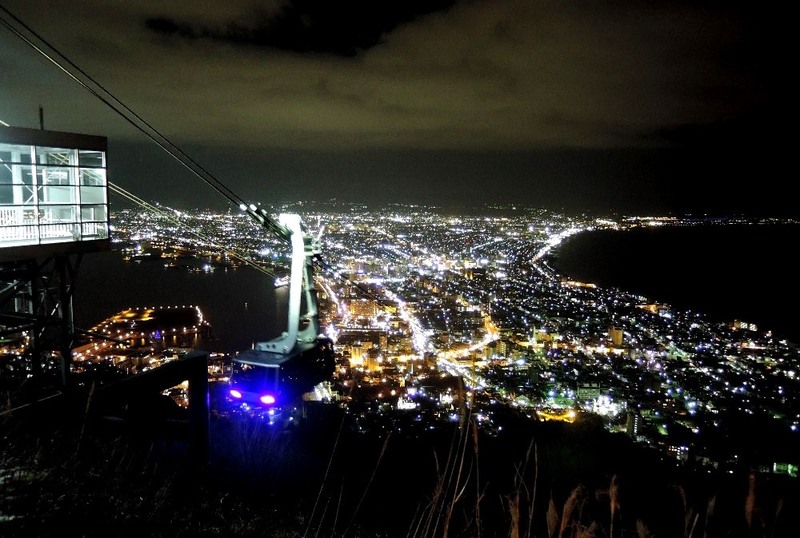 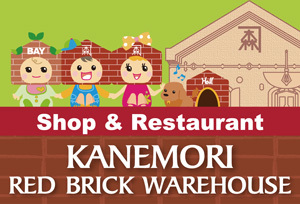 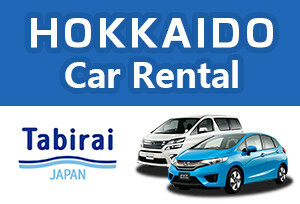 You can get there by cable car (round trip 1,280 yen), by bus, by taxi, or by rental car. 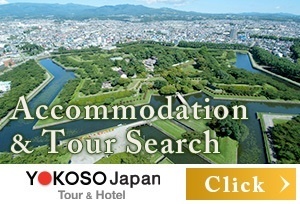 5 minutes by tram to the “Jujigai” tram stop. 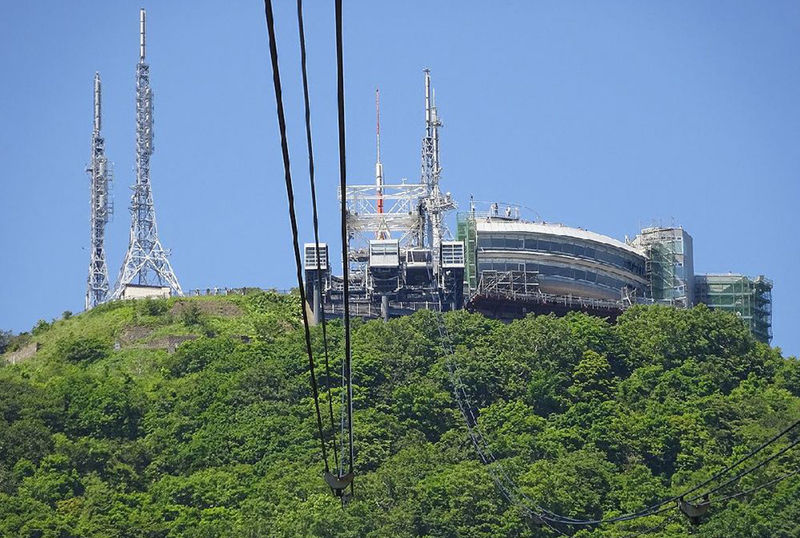 10 minutes walk to the Ropeway station. 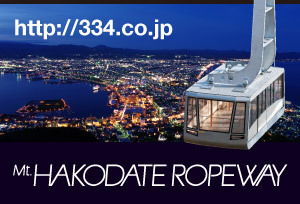 3-minute ride on the Ropeway delivers you to the summit.